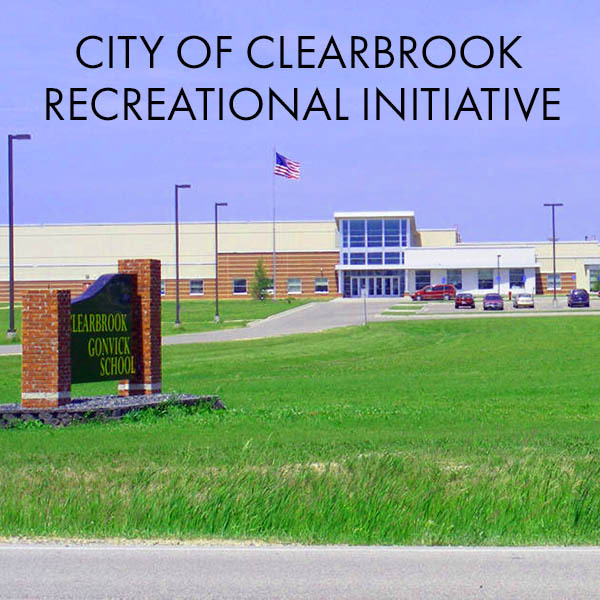 Landsverk and Associates, Inc. was invited by the City of Clearbrook to assist with securing funding for a major recreational initiative. Michelle Landsverk worked with the City Administrator and a small planning team to refine the project plan and secure funding from two sources: MN Department of Transportation and Enbridge Ecofootprint program. The work envisioned consisted of three phases: completion of a playground, development of the area around the Clearbrook pond (dam, fishing docks, and recreational areas), and a paved trail that would connect the redeveloped recreational area with the Clearbrook/Gonvick School. Karvakko Engineering assisted with project engineering and identifying the best route for the paved trail. The project is of utmost significance to the community. Quality of place—the features that make a community a desirable place to be—is widely recognized as one of the most important factors in determining where people decide to live. This project will make the community more attractive in so many ways as it creates opportunities for children, families, and people of all ages to play. It will create safe routes for pedestrians and bicycles. And last, but not least, it will create opportunities for the public to enjoy the natural environment around the Clearbrook pond. Grant applications were submitted to MnDOT and Ecofootprint in January 2017. The City was awarded funding from both entities. Additional funding needed for the project will be raised through local contributions and other grant funding. Michelle Landsverk has helped HRDC, NWRDC and Northwest Minnesota Foundation align activities for the benefit of Northwest Minnesota, producing substantive results. I am very comfortable recommending Michelle Landsverk to facilitate important community and economic development projects.